In the first book of this new series, Sage Stone and his twin sister Hanah have no idea how their lives will change on the day that Sage is chosen by the Thunder Beings. He is brought back from the brink of death by their Grandfather Jack, the shaman of the Tachi nation. The tragic death of their father is still raw as the twins are sent on a dangerous adventure to fight the darkness. Their uncle Malakai has other plans for them. 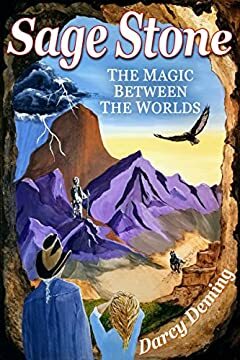 With the help of Grandfather Jack, spirit guides, and most importantly, his sister, Sage must find his fatherâ€™s manuscripts and continue the work of bringing the light and healing into the world. They begin to harness the powers known only to the shamans of their tribe. Can Sage find the precious journals, bring Malakai back to the light or will the darkness overcome him?